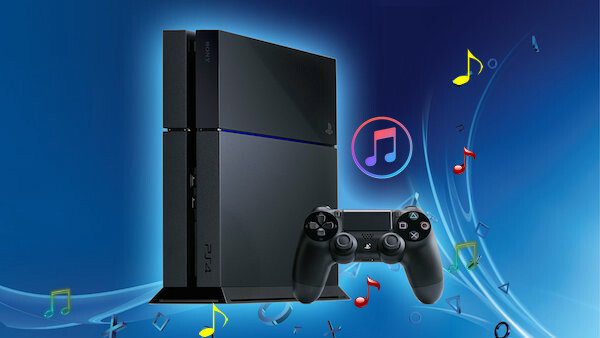 PS4 is not only the game console, but also is featured with other functions like music playback, and social features, etc. As a game player and music lover, it must be a wonderful experience to listen to music while playing game. However, someone asked: Is there a way to stream Apple Music to PS4? Apple Music songs are DRM-ed, you can't download these music and transfer via USB drive to play on PS4. Apple Music has so many music catalogs new music to choose from, so if you are Apple users and own a PS4 at home, just make it possible to stream Apple Music files to your PS4. All your need is just a DRM removal tool, like NoteBurner Apple Music Converter. It will help you remove the DRM protection from Apple Music songs or playlists and convert these files to plain format, like MP3, FLAC, AAC or WAV. Information including artwork, metadata like disc number can be kept after conversion. You can download and install the latest version of NoteBurner Apple Music Converter for Mac or Windows according to your computer operating system. Click "Add" button, then you will see a pop-up window which will show you all the iTunes folders. You can add your favorite music. Click the "Setting" button on the top right corner, and then there will pop up a window which allows you to set output path, output audio format and output quality. Here you can choose MP3, WAV, FLAC or AAC as output format. You can create a folder called “Music” to save the converted music on USB drive, and transfer these files to this folder. Then plug your USB to PS4. There will pop up a window (USB Media Player) automatically, select the music you want to play and press “options” button to play it. Now, all of the music you added will play on PS4. Extra Tips: Except streaming music on PS4, enjoying iTunes movie on it is also a pretty choice. If you want to transfer iTunes movie to PS4 for enjoying, please refer to: How to transfer iTunes movie to PS4 for enjoying?